This picture taken from Paris region with a telescope on Dec. 3, 2018, shows the 46P/Wirtanen comet as it will come closer to Earth on Dec. 16, 2018. A comet first observed more than 70 years ago has returned for one of its periodic visits — and this flyby of the "Christmas comet" is one of the closest in recent history. 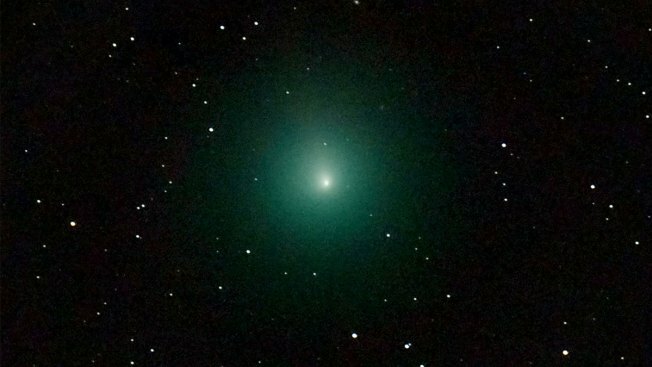 The comet, 46P/Wirtanen, made its closest approach on Sunday, when it was about 7.1 million miles from Earth (about 30 times the distance from Earth to the moon), NBC News reported. But the comet should be visible for several more days — at least for those with the right gear.